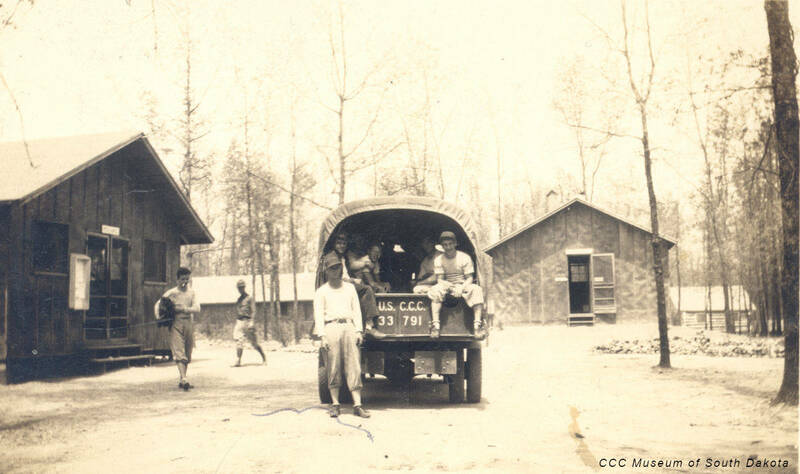 South Dakota Civilian Conservation Corps (CCC) camp 9 mi W of Custer and approx. 4 miles east of Jewel Cave National Monument. 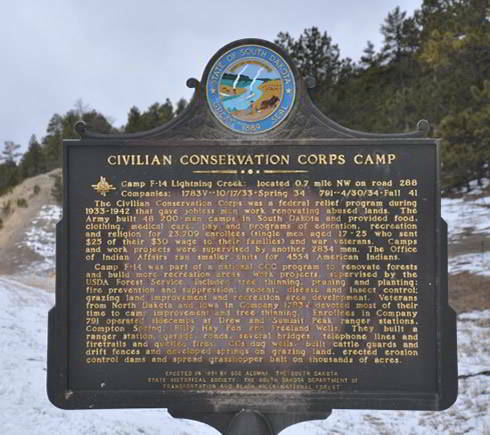 It was used as a CCC camp from October 17, 1933, until sometime between 1941 and July 1942. Composed of North Dakota WWI veterans, it was organized by the U.S. Veterans Bureau at Fort Lincoln near Bismarck, ND, during June and July 1933 (1934). Immediately after arrival at Camp Lightning Creek the veterans of Company 1783V were put to work at thinning the forest of its overgrowth of trees. Though the work was different, the schedule was about the same as at Fort Lincoln, with the exception of the distances the men traveled to and from work. They did not have to go more than 5 miles because the camp was situated in the midst of a large area of the Harney National Forest (1934). 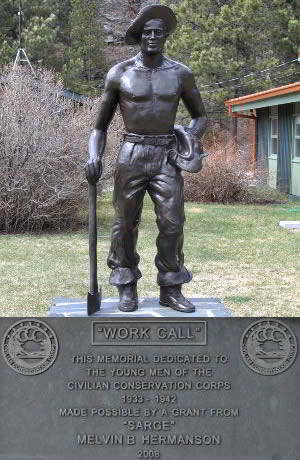 The nature of the work for Company 791 in 1934 was forest thinning, fire construction, spring improvement, and building cattle guards, drift fences, and dams (1935).